AccountancySchool.ie was founded in 2013 from a previously well-established division of Independent Colleges, an INM PLC company that began trading in 2007. We provide training courses to professional accountancy students and are leading provider of ACCA and CIMA courses in Ireland. 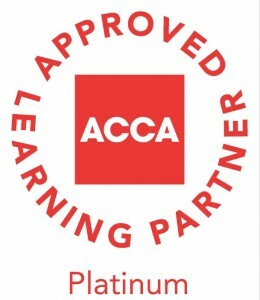 The College is an ACCA Platinum Approved college and an Advanced Learning partner with CIMA.Our sister company Chartered Grind School (CGS) was founded in 2008 and delivers the courses for students of the Institute of Chartered Accountants. We provide training courses to professional accountancy students both in classroom at our Dublin 2 premises and live online throughout the world. Our New CPD School delivers seminars which meet the CPD requirements of ACCA, CIMA, ACA and CPA. As a business, we are well aware that professional development must be a profitable use of both time and money. We’ll repay your investment by providing tuition that will advance careers and boost corporate performance. All of our classes are now broadcast live and recorded for your convenience. Students registered for a classroom course also have full access to the online content which allows them attend live online and catch up using the recordings. You can also register for the online only option if you do not wish to physically attend. This gives you access to the live online classroom as well as all of the recordings. Click here to find out more about how the online content can help with your studies and see some sample lectures.